Emotional abuse includes verbal violence and the lack of positive emotional support. Healing emotional abuse – how do you ever heal it? Emotional abuse includes verbal violence and the lack of positive emotional support. Abusers control, criticize, demean, ignore, make children less then, powerless, and victims. Abuse robs children of the ability to trust, healthy psychological development, and high self-esteem. These children enter adulthood with a sense of inadequacy never feeling good enough. They fall into patterns of victim-hood and powerlessness. Did you know physical abuse almost always involves emotional abuse? So how does emotional abuse damage a child’s self-esteem? Feelings denied or unacceptable in a family and unexpressed by a child became repressed. Children resist feeling by tensing muscles, shallow breathing, and repeating internal critical self-talk. They in essence numb themselves which I did as a child, teenager, and adult. I ran constant records of self-talk like, I have nothing to say. I falsely believed myself to be the lowest man on the totem pole in terms of self-worth. 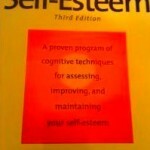 Limiting the expression of our feelings and also the creation of false beliefs erodes our self-esteem, as it did mine. Tip: Learn to feel and express your feelings in healthy ways for healing emotional abuse. Examine your critical self-talk and choose to change it. 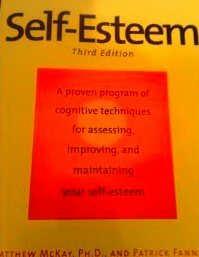 See Self-Esteem: A Proven Program of Cognitive Techniques for Assessing, Improving, and Maintaining Your Self-Esteem by Patrick Fanning & Matthew McKay. This violence stated to be prevalent in most physical abuse stunts our psychological development as children. My parents verbal yelling and fighting with each other over my fathers constant drinking violated my family’s emotional well being. 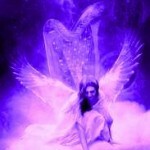 I knew unconsciously as a child that if I spoke up or stood up to my father he would physically beat me. 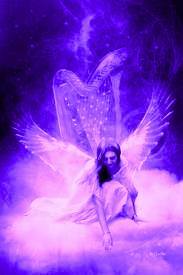 For survival I shut down the expression of my feelings, retreated inside myself, and became the invisible lost child. As an adult I felt different and separate from any group I joined. As a result of my parents emotional violence, I attracted women who verbally belated and criticized me for my lack of emotional expression. They reinforced my feeling of inadequacy. 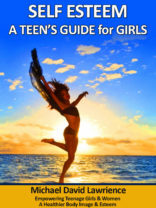 Tips: Learn to parent and heal your own inner child for healing emotional abuse. See Healing The Child Within: Discovery and Recovery for Adult Children of Dysfunctional Families by Charles Whitfield M.D. A healthy parent reflects back as a mirror a child’s behavior and feelings in a positive way. This builds and validates the child’s core of self-esteem. Some parents, however, use a child to validate their own narcissistic needs. This type of parent has little or no awareness of the child’s needs. They also have little ability to mirror back to the child. The child then gives up some or all of their needs for the parent. This parent never acknowledges when a child does something right or praises them. Children build their self-esteem through positive reinforcement from their parents. With my father physically absence when he drank and emotionally absence even when physically around, I unconsciously as the eldest, took on the male role for my mother. I give up my core being and become the codependent caretaker. Tips: Learn recovery methods for codependent behavior, for healing emotional abuse. 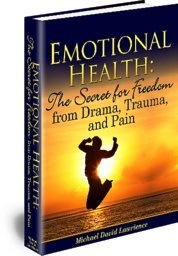 See Emotional Health: The Secret for Freedom from Drama, Trauma, and Pain by Michael David Lawrience. Do you know someone who has suffered emotional abuse as a child? Now you have some tips to share for healing emotional abuse.